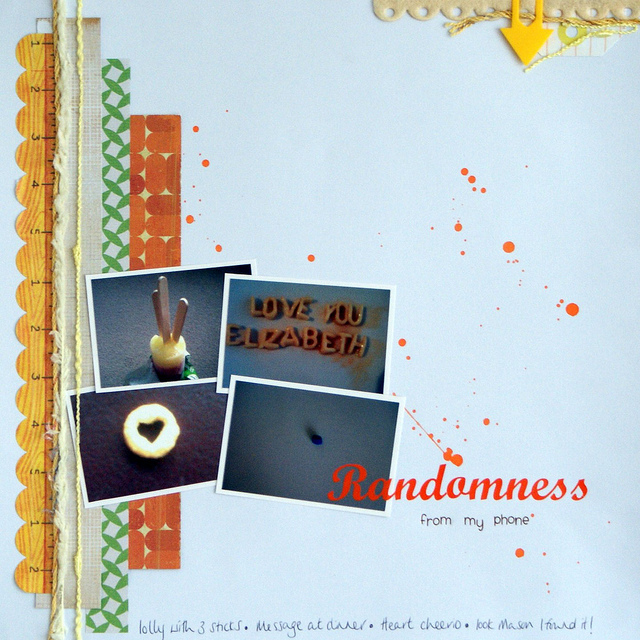 scraps of us : Scrapping phone photos! I went through all the photos I've taken on my phone the other day. The camera on my phone is pretty rubbish so I don't use it much and never really look back at my pictures. It was nice to go through them and see things I had completely forgotten about. I printed a few off to scrapbook. These layouts are from sketches by just C&S - Nos 67 and 68. These are some random photos I took with my phone - An ice lolly with 3 sticks, THREE sticks! that deserves a photo right?! A little message to Elizabeth in alphabet pasta shapes, A cheerio with a heart shaped hole sent to Mason and the button from the remote I found, which I also sent to Mason as I knew he would be impressed that I had found that teeny little button! 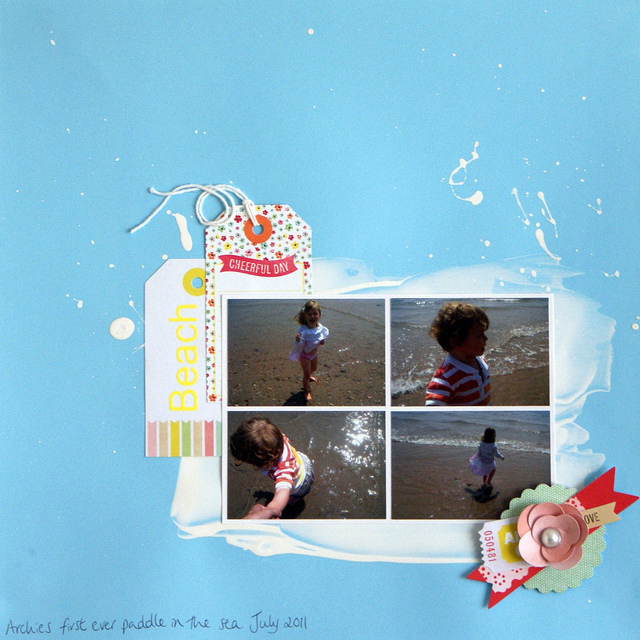 These pictures were taken last summer and it was the first time Archie had paddled in the sea. He absolutely loved it but just wanted to run into the water. I didn't have my big camera with me so I was grateful that I had at least captured the moment with my phone camera.